Truck Accident Personal Injury Lawyers for Claremont, California! Need a Trusted Legal Expert to Handle Your Truck Accident Personal Injury or Wrongful Death Claim in Claremont, Los Angeles, California? 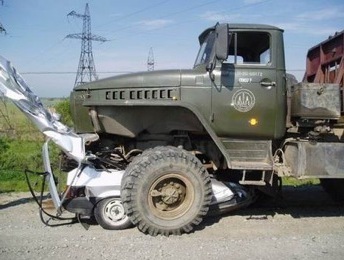 Truck accidents can cause devastating property damage and personal injuries. Our personal injury lawyers for Claremont, California provide aggressive yet compassionate legal support to victims of such serious truck and car accidents, and to families involved in wrongful death claims of loved ones who were killed in tragic truck or car accidents. We are a team of professionals with more than 40 years of personal injury experience providing exceptional legal services to victims of truck collisions or the families and relatives of people who were killed in a truck or other fatal accident. If you need any help or advice, then please contact us now for an expert legal consultation from our experienced personal injury lawyers and legal team and get your FREE & CONFIDENTIAL CASE EVALUATION. Our experienced accident injury lawyers handle truck, car & motorcycle accident claims in Claremont and all over Los Angeles and California. Click here to reach us for a truck accident case or wrongful death case consultation. For more details on our experienced personal injury lawyers, check our lawyer profiles. Also, check-out our Truck Injury Accident Web Site to learn more about the truck accident injury claims process; and for specific advice about your own particular accident case please call us now at 818-222-3400 or 1.866 INJURY 2 (after hours, please dial “1”). 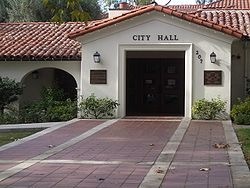 Claremont City Hall, City of Claremont, California – Truck Accident Attorneys Here to Advise & Help You! Claremont is a college town located on the eastern border of L.A. County, California. 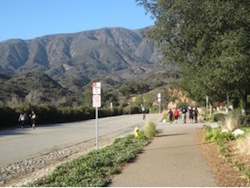 According to the 2010 U.S. Census, Claremont has a population of 34,926. Claremont is well known for its institutes of higher learning and its tree-lined streets. It is home to Pomona College, Claremont Graduate University, Scripps College, Claremont McKenna College, Harvey Mudd College, Pitzer College and Keck Graduate Institute of Applied Sciences. Some former renowned residents of Claremont, California include recording artist and actor Snoop Dogg and model and actress Jessica Alba. To learn about how we can assist you further with your Claremont, California truck accident or car accident personal injury or wrongful death claim, and what you need to do to protect your rights and to comply with other procedural rules required by the California DMV and truck insurers, please contact us 24/7 for a free & confidential case evaluation and consultation. To contact our experienced personal injury lawyers, please call us on our toll-free number 1 866 Injury 2 or 866-465-8792 ( after hours please press 1) or on 818-222-3400 (after hours please press 1). For our quick and easy consultation, fill-out the details in our contact us form and tell us about your Claremont, CA truck accident, car accident or other injury accident. We work contingency fees! Meaning there is NO CHARGE for our initial consultation – it is ABSOLUTELY FREE! FREE CONSULTATION & NO FEES UNTIL YOU WIN!! !